So you bring your car in for an inspection or service, and you are handed a big list of concerns that need to be addressed. 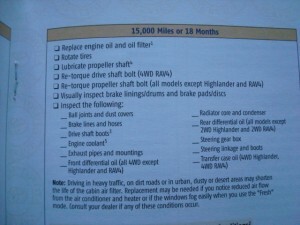 You need to ask the service advisor to split the list into two categories. What NEEDS to be done such as safety items, and what SHOULD be done for maintenance and reliability. If an automotive repair shop or an automotive dealership wants to get repeat business from you they will take the time to do this for you. With the information given to you from the results of their inspection, they should make you feel that you are in control of making decisions for yourself. This is known as the “soft sell” approach. It can be annoying to have something sold to you every time you bring in your car for an oil change. The thing is, if you have an oil change done on a vehicle with higher mileage and nothing is brought to your attention, chances are they are not looking at your vehicle thoroughly. Make sure that you keep an updated folder in your car with all of your maintenance records.Know what and when something was done to avoid spending extra money on a service that did not need to be done. 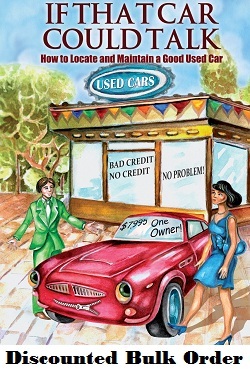 If you have doubts about what you are being sold take my advice and reference your owners manual for what may need to be done on your vehicle for routine maintenance. 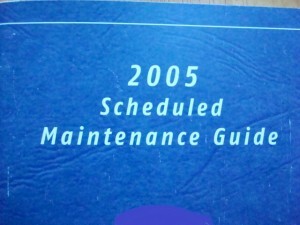 Most times there is a separate service schedule booklet from your owners manual, that will give you the specifics for any service recommendations that your car may need. Start an annual budget based on recommended maintenance to have the funds ready when you need them to take care of your vehicle correctly. « Kathleen C. Asks: I had my squeaky belt replaced on my car. Why is it still noisy?